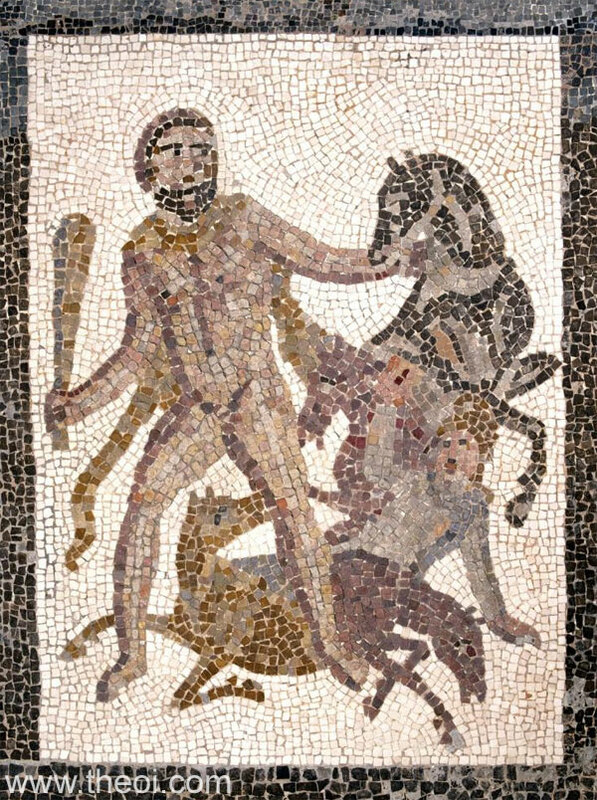 Heracles battles the man-eating mares of Diomedes. His companion, the youth Abderus, is devoured by the beasts. This scene is part of a larger mosaic depicting the Twelve Labours of the hero.